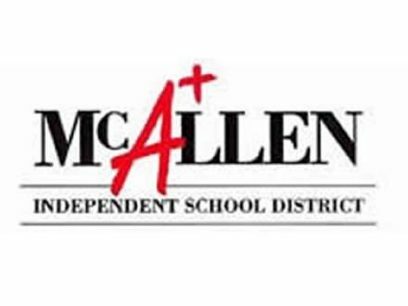 McALLEN — School district officials here are formulating a plan on how to address needed upgrades, capacity issues and the quality of most McAllen school district campuses. The plan is expected to be presented to the board in the next few months as trustees and district administrators met this week to consider their options. District officials are weighing possibilities presented to them by the consulting firm MGT of America, which they hired in 2015 to assess the overall state and use of all facilities at a cost of $150,000. After MGT’s assessment, district administrators worked to develop several options presented during a workshop Tuesday that involve closing down several underused campuses and redrawing district lines to better accommodate to the district’s current and future enrollment, which is expected to continue to decline. The scope of the facilities’ inadequacies were aired in 2014 and 2015 as the then board put a bond of $297 million before voters, which was rejected in May 2015 with 70 percent of the votes against it. Leaving the current board in charge of figuring out ways to still address some of the most pressing needs with the resources currently available to them, before talking about another bond proposal. Changes and renovations were suggested for least eight campuses including Alvarez Elementary School, Gonzalez Elementary School, Houston Elementary School, Milam Elementary School, Jackson Elementary School, Brown Middle School and several others for an overall cost of about $68 million. The district is also considering science lab needs at the three high school campuses and Lamar Academy, which the officials estimate will cost between $8 million and $10 million. Part of the process could include readjustment of school boundary lines to accommodate the capacity of schools. For example, part of the process could include moving 200 students from Milam to Jackson to bring Milam down to 93 percent capacity, or utilization, and Jackson to 78 percent. Closure of some schools and redistribution of students were recommended to balance overutilization and underutilization within the district. This would allow the district to reuse or sell the facilities that would otherwise require too much investment to renovate. Navarro Elementary, for example, was cited as a consolidation option. Students from the campus could be distributed between Thigpen-Zavala Elementary School and Alvarez Elementary and the newest area of the Navarro campus could be used as a Head Start facility. Trustees also talked about offering some of the unused campuses to the city of McAllen to house their departments or even the University of Texas Rio Grande Valley. Another concern brought up is the need to make sure that redrawing boundaries doesn’t translate into losing those students to other districts as they suspect was the case when the district closed Crockett Elementary School. In case of any closures, officials said they would need to give families feasible options such as providing transportation or offering several options where the students could be relocated to avoid losing these families. While many options and suggestions landed on the whiteboard, officials said the next step is for administration to discuss all options and come up with specific recommendations that will be presented to the board in the upcoming months which will then be presented to the public for feedback.